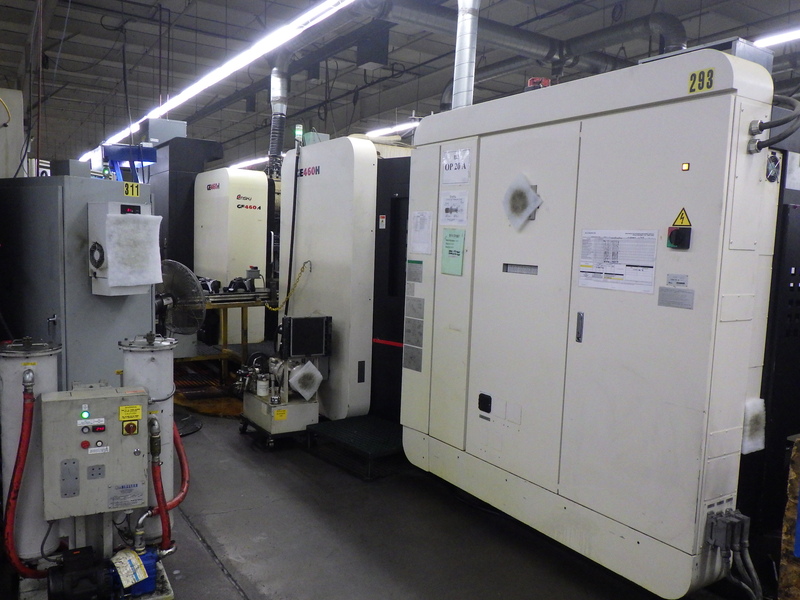 Millat Industries Corp. 4901 Croftshire Dr.
2014 Enshu GE460H with Fanuc controller. Machine will be available in July-August 2019. Machine is still in production and will run until the end of the program. Our CNC machines and equipment are maintained to manufacturers’ specifications. This is accomplished by the application of our Total Productive Maintenance Program. All equipment is tracked and maintained using our Computerized Maintenance Management System (CMMS) by competent in-house technicians and/or OEM-certified service technicians. We are a machine shop that used the machines to make parts: we are not a used machinery dealer. The equipment is being sold by Millat Industries Corp. as is where is with no expressed or implied warranty and no representation as to performance or capability. Cutting Tools and Toolholders are not included. Rigging is not included.